Unanswered questions are revealed in the final countdown! Learn newly recovered secrets about Lucien Foster’s identity! When Samantha Hunter is taken deep beneath the Archuleta Mesa into the Dulce—a joint human/alien underground testing facility—her only hope for survival is Gloria, a human abductee, and Ruby, a hybrid German Shepherd. There, she undercovers the unthinkable— secrets the U.S. government has been hiding for decades! 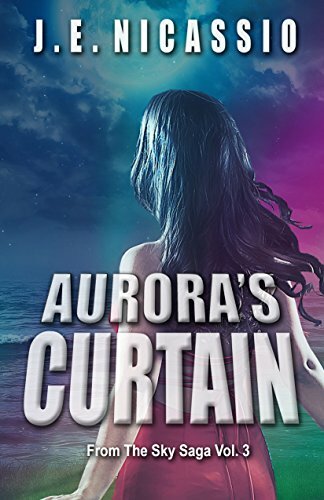 Aurora’s Curtain is a fast-paced science fiction thriller that will make readers question everything they believe about life on other planets and a love that knows no bound! Aurora’s Curtain: The final book in The Beyond Moondust Trilogy is told in first person Sam’s point of view and limited Lucien and Gloria’s point of view, unfolding the story through their eyes.